Aquaman director James Wan recently opened up about his upcoming DC superhero film and how it will be different from the other ones made under the same umbrella. 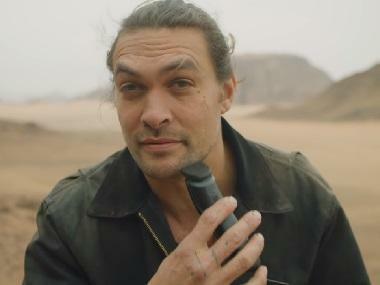 Wan began the interview stating that the Jason Momoa-starrer was not like anything created in DC EU before. Even in terms of a general film, Aquaman was something different solely in terms of the kind of underwater sequences that have been extensively shot in the film. Talking about the main inspiration behind filming Aquaman, Wan added that he would often be asked what his main inspiration behind making the film was, and he would always say, "They were the comic books. 70 years worth of source material to be pulling from." When asked which other DC character he would have liked to make a cameo appearance in the film, James stated that he had always felt that the world of Wonder Woman and the Atlantians were quite similar and thus in that regard he might have wanted to bring in Wonder Woman in the narrative if he had to. "She (Wonder Woman) wouldn't be too out of place in this world I think," added the director. Sharing trivia on the deleted test-screenings, Wan added that the process has become a sort of necessary evil especially while casting for superhero films.